So I’ve told you about some of the big heroes, but conservation work isn’t just about the big guys, its about everyone. Theres tonnes of things you can do to get involved so, (especially as its half term this week), why not give some of them a go! Many charities need help with practical conservation work, which can also double-up as some great benefits for you – outdoor physical exercise, learning some new skills and meeting some new people. 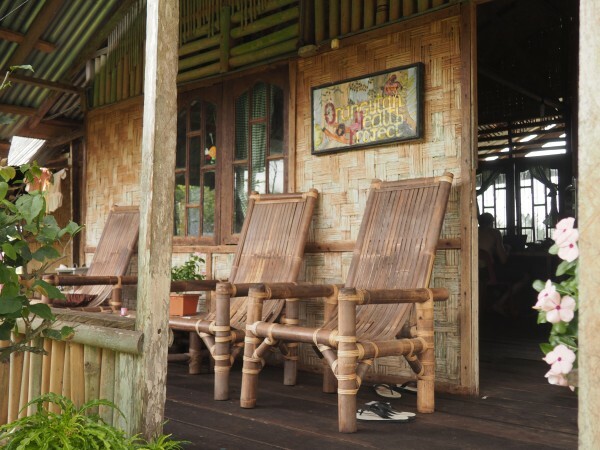 You may chose to do this locally or go big and instead of having a lazy holiday by the pool, volunteer abroad (make sure you find a charity doing reputable conservation work, not just an expensive holiday). For example, I’ve done some with the Sussex Wildlife Trust’s Saturday Hit Squad group in various locations around Sussex, pulling up invasive species, cutting back willow and clearing chalk habitats, but my trip with the Orangutan Health Project in Sumatra last year gave me an entirely different experience. Search the internet and see what you can find to get involved with! 2. Donate some money, even just £2 a month helps. It can be overwhelming to know which charities to support as there are so many out there. My advice is to focus in on something that really interests you, whether its oceans, bees, orang-utans, deforestation, and then research into which charities work in that area. You may want to support a large charity or a smaller one, but whatever you go for, make sure your chosen charity is reputable and a large amount of its earnings go directly on their conservation work. If there are a lot of charities you want to support, pick a couple for this year, and then next year support a different one. This is an amazing and genuine way to help conservation research, and there are so many ways to do it. We had the RSPB Big Garden Birdwatch last month (if you missed it, sign up to take part next year) which gets tonnes of data from people sitting in their homes looking at garden birds for one hour. 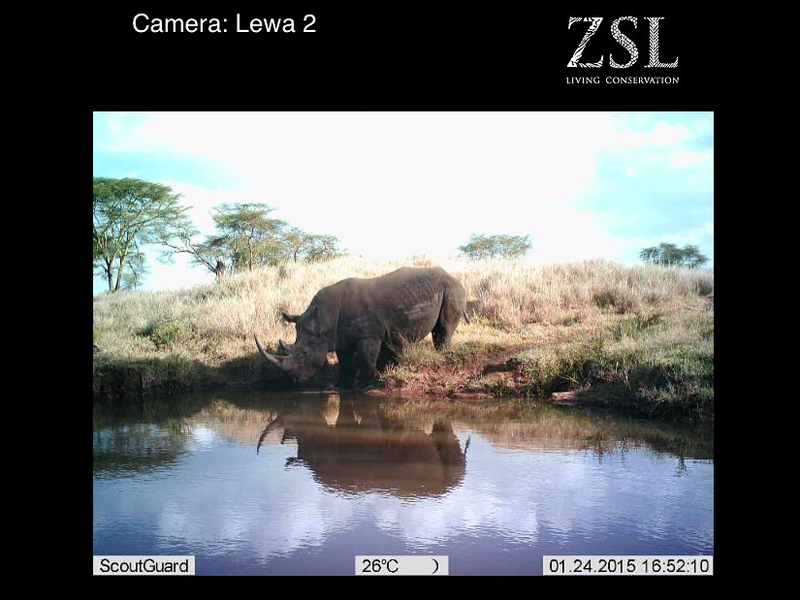 Or if you fancy something a bit more exotic, then try the ZSL app Instant Wild – your phone is connected to remote camera traps in Africa and other countries, every time a photo is taken you have to submit which animal is in shot. This data helps conservationists to monitor animal numbers in key areas. The ispot app is great not only to help you identity wildlife you’ve seen, but also gives scientists data and allows them to look at trends over time. But there are tonnes of organisation, big and small, who need help with surveys and data collecting, so see what you can find. Conservation organisations need a mix of skills from accountants, graphic design, public relations, event organisers, everything, so volunteer some of your time to doing your vocation for them. You don’t need to be a conservation expert yourself to help on a conservation project! Join as many things as you have time to, and transfer the information you learn to different groups. You might go to a meeting about a local tree-planting project one evening, and then a few days later meet someone who works for the local council who might be able to help the tree-planters. Share knowledge, join up the dots, and become known as someone who is involved with lots of different things. Anything from a 2 hour course one Saturday morning to an entire degree, being informed and inspired are essential to conservation. A lot of the Wildlife Trusts have short courses on different topics so look up your local Trust. You can find some great (and free) short courses led by universities through sites such as FutureLearn and OpenLearn (part of the Open University). 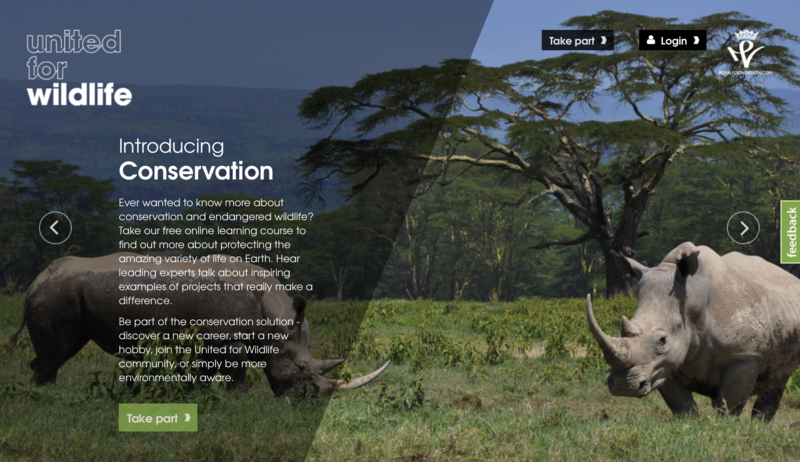 Last year, the organisation United for Wildlife launched their online course Introducing Conservation and are continually adding modules. 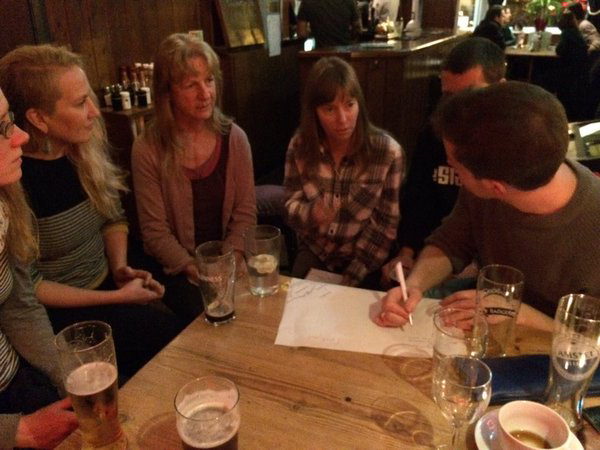 While the big idea may sound exciting (let’s reintroduce beavers back into Sussex! ), there is a lot of behind-the-scenes work before any conservation project can get off the ground. This may include hours of research, collecting data, lobbying and talking to stakeholders, long days in the rain cutting back an invasive species or hours sat monitoring a certain species. However small your part may feel, it all adds up to a much bigger goal with big impacts. Tell people about a project you’re working on, or if you have more experience, try and get involved with education projects with local school kids or groups. Even just following some charities you are into on social media and liking or sharing their posts will go some way to educating and informing your friends and followers. These days, where we chose to spend our money can have real power. All businesses, big or small, want your money so by choosing to support ones whose production methods, ethics, business model and view on sustainability agree with yours you can help look after our planet. Its not always easy to find these things out so I aim to do this as much as possible, for example I don’t buy my petrol from Shell as the thought of them wanting to drill in the Arctic made me more angry than anything, I try to buy local and from independent makers and sellers as much as possible so that my money is going directly into my local community and not being eaten up by huge corporations (this reduces my carbon footprint too as the products haven’t been made on the other side of the world). Some companies directly support endangered animals – if you like coffee, why not try buying some from Orang Utan Coffee (available in Waitrose) who are working to create environmentally-friendly coffee plantations and not cut down the rainforest, and ultimately to make enough profit to support the work of the Sumatran Orangutan Conseration Programme (headed up by Ian Singleton, see my previous Heroes of Wildlife Conservation post). Literally, if you buy your coffee from them rather than the evil Nescafe some of your money will go towards making sure the orangutan doesn’t go exist. How amazing is that? Sorry for always talking about orangutans… (not sorry). So, go forth and become a wildlife conservation hero! The list of endangered animals, rate of deforestation, amount of pollution and everything else can seem completely overwhelming, but you know the worst thing you can possibly do? Do nothing! The cliche is true – every little bit helps. Vote with your money, go plant some trees, take part in a local wildlife survey or learn something new… all these things will add up to help endangered animals and our planet, and I reckon you’ll have fun doing it too. 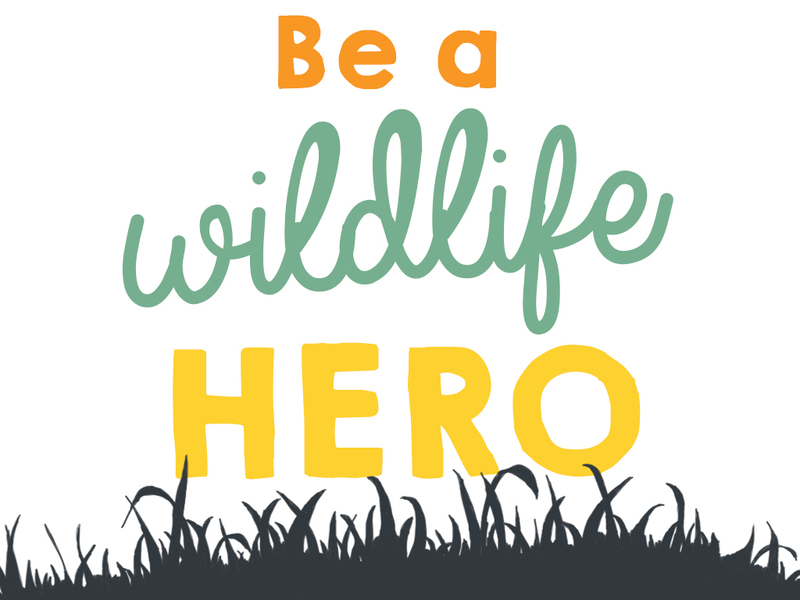 Be a wildlife hero!